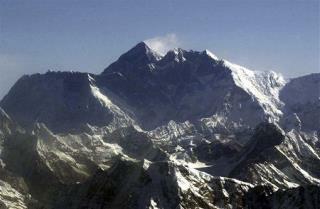 (Newser) – An Australian tourist and three Tibetans have died in an avalanche on Mount Everest, state media reported today. A local tourist agency organized a trip for four tourists to an off-limits area on Sunday evening, according to the Xinhua News Agency. The group of 10, which included three herders who acted as porters, two cooks, and a tour guide, encountered an avalanche, and one Australian and the three local herders died. Next on Newser: Senators Close to Deal, But Do They Have Time? Those porters died as a result of rich people and their need for bragging rights that they climbed Everest. Life is cheap, if you look in the right countries. I bet they take up a collection for those porters' families and it amounts to pocket change.